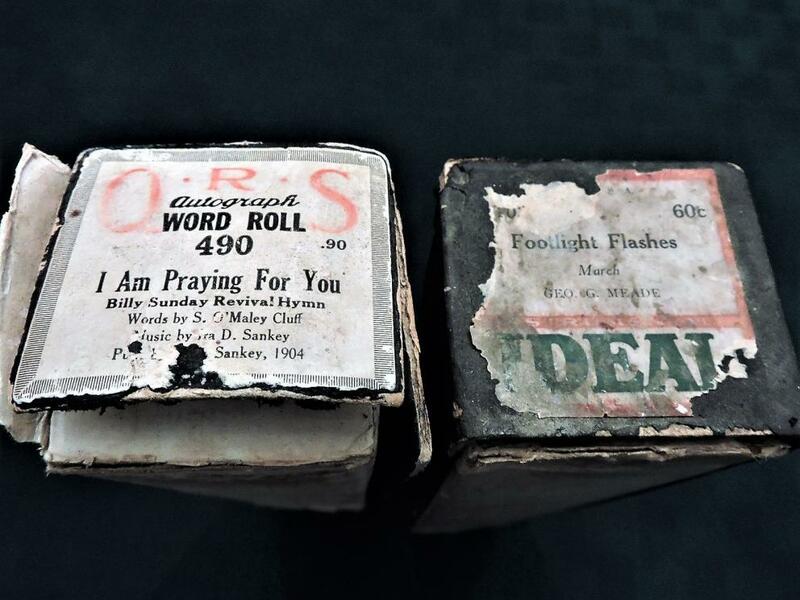 "Blue Skirt Waltz", "Hoop Dee, Doo", "The Old Rugged Cross, Reverand George Bennard", "I am praying for you, D Sankey 1904". 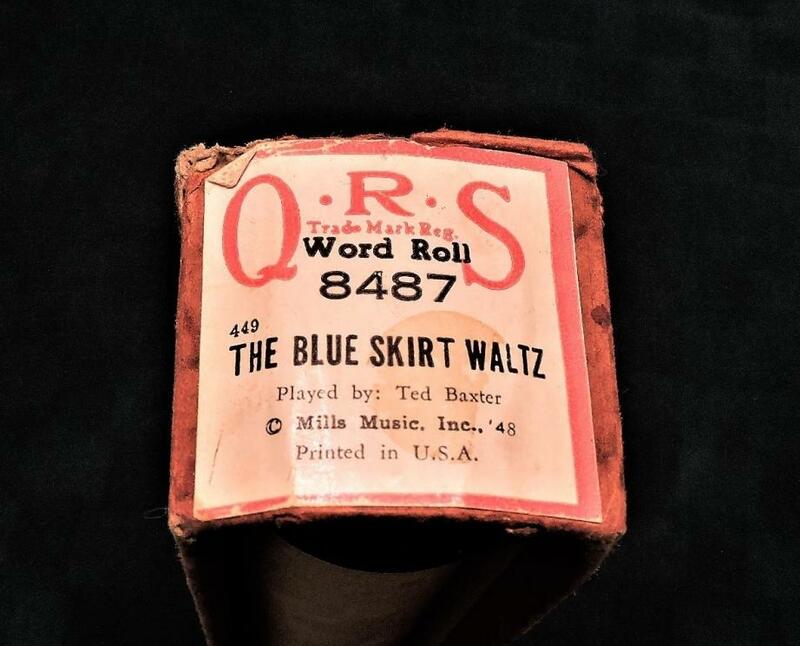 "Murillo 88010 Wilcox and White Company", "Republic Player Rolls 41418, Hiawatha's Melody of Love", "Supertone, Beautiful Isle of Somewhere", "For Me and My Girl 1917", "Blue Skirt Waltz", "Are Your From Dixie, Cause I Am From Dixie Too" By Cobb". 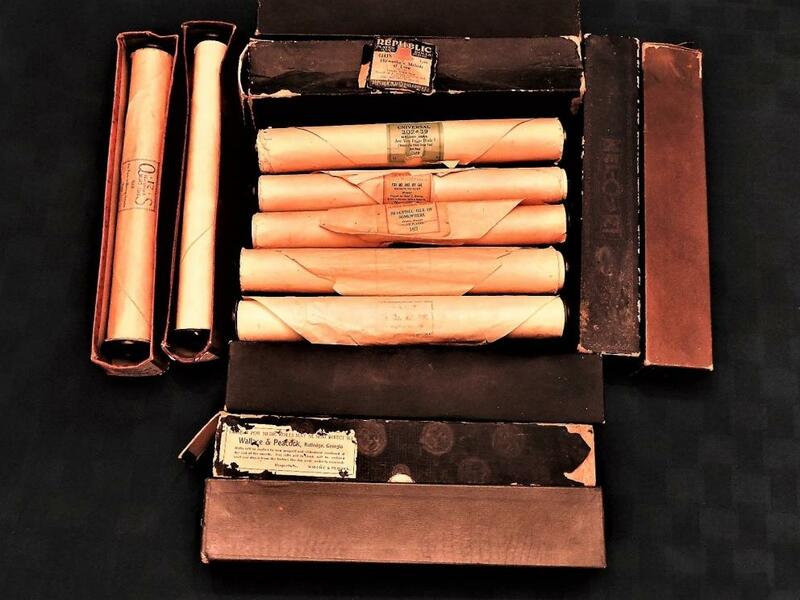 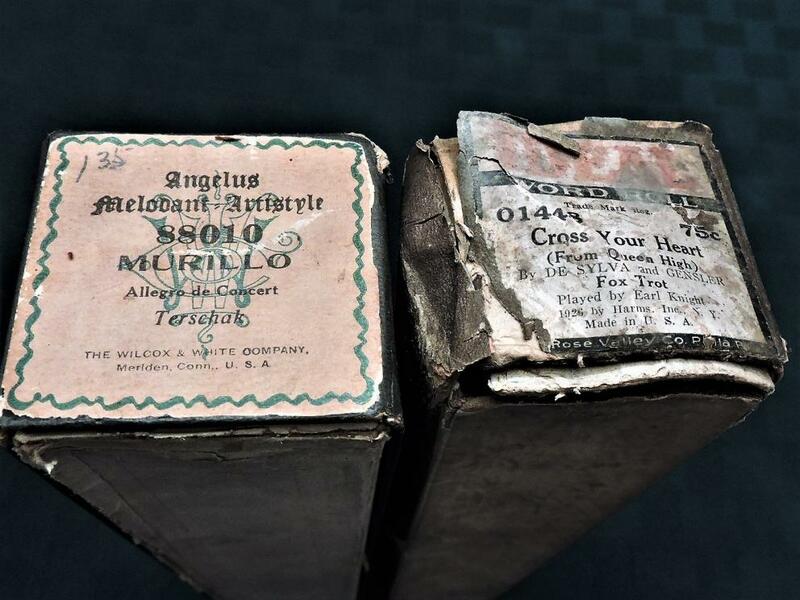 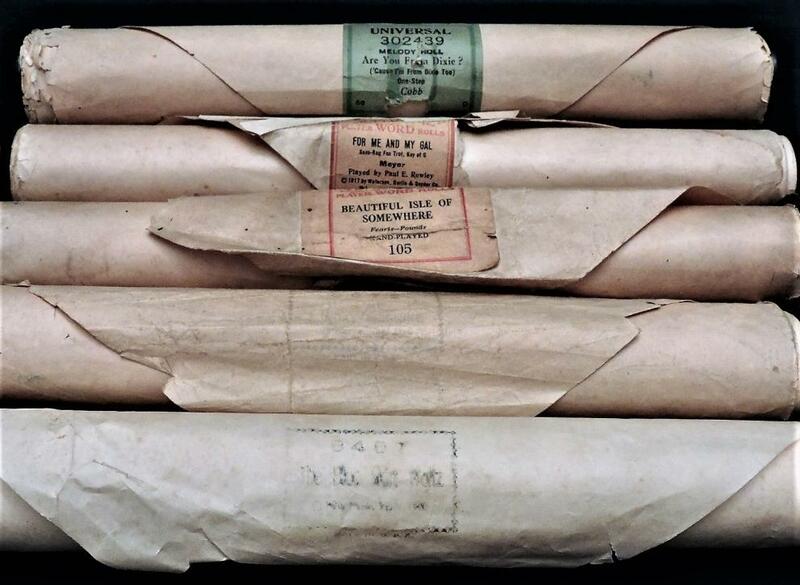 These are untested vintage music word rolls.